From bow ties to flannel shirts, mixologists are always setting fashion trends. F&W scouted for the next big look at our favorite New York cocktail spots, and the result was clear: men in denim. From bow ties to flannel shirts, mixologists are always setting fashion trends. 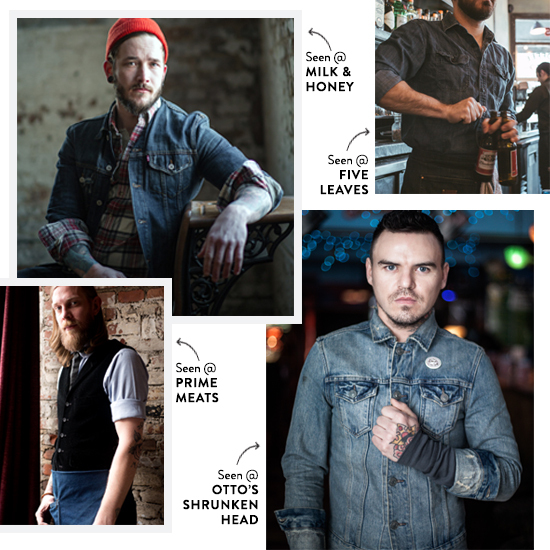 F&W scouted for the next big look at our favorite New York cocktail spots, and the result was clear: men in denim, from aprons to classic jean jackets (withsleeves rolled up to reveal tattoos).